SewWonderful: It's Got to be Easy! 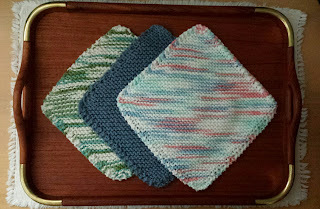 Knitting dishcloths has never been my favorite project. Everyone has a pattern they either like to knit or use. My hands are small and most dishcloths are too big. Also I like them tightly knit and I like a pattern that doesn't end up with lace holes in the wrong place or not at all. I have never gotten along with the bias knit dishcloth pattern that has lace holes on the border. With function, speed, and size in mind, a new version started falling off my needles. Here is the pattern for all of you who like freebies. 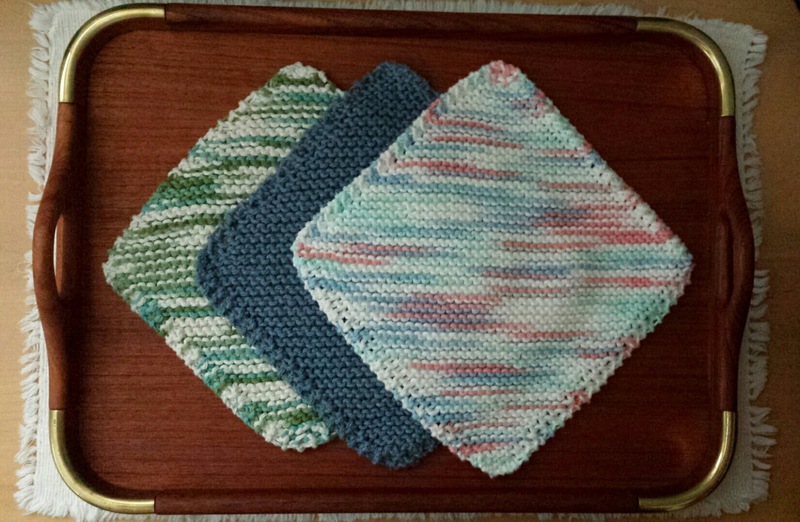 This is not a glamorous dishcloth but fully functional and fast, guaranteed to fall off the knitting needles at lightening speed. Thanks, Diane! I think I have knit enough for awhile. Back to socks and cowls, my favorite knits, and maybe a few hats for the grands and charity.